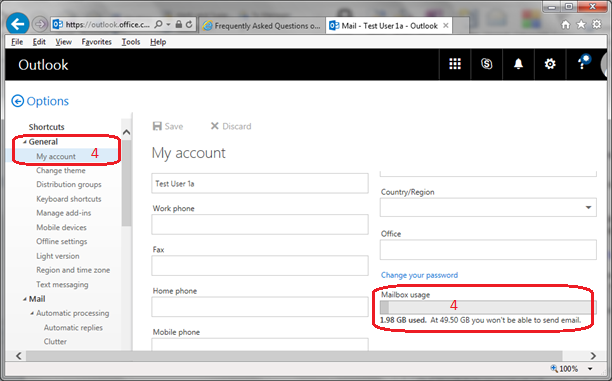 How to check my O365 mailbox usage? Login your O365 account at CityU Staff Sign in to Office 365 web page. Select My account under General. The Mailbox usage of your mailbox will be shown.